o Do You Pass the Trumpeter's Breathing Test? Subscribe to Glenn's Trumpet Notes! Concerts which require paid admission tickets to hear professional musicians perform. On opening night, 3 August, my wife and I attended the 2018 Royal Military Tattoo at Edinburgh Castle in Edinburgh, Scotland, U.K. It’s a great show, and this is the third year we have attended (2014, 2017, 2018). This year, I shot more than 300 photos. By far the most prevalent musical instrument was the bagpipes, but there were lots of trumpeters and buglers, also, in the many bands. I got a few photos of some of them, and here are the better ones. Wouldn’t it be a thrill to play your trumpet or bugle at the Tattoo?! Please click on any photo to enlarge it. “Holiday Inn,” a favorite American musical that is based upon a 1942 movie of the same name, starring Bing Crosby and Fred Astaire, ends its run at the 5th Avenue Theatre in Seattle tomorrow. It’s been playing there since 24 November. My Seattle family members and I went to see the performance on 16 December, and loved it, as we knew we would. To me, the most memorable of its 20 songs, written by Irving Berlin, are “White Christmas” (1942), “Easter Parade” (1933), “Cheek to Cheek” (1935), “Blue Skies” (1926), “You’re Easy to Dance With” (1941), and “Be Careful, It’s My Heart” (1942). In the orchestra pit, Caryl Fantel was the conductor, and the trumpeters were Brad Allison and Paul Baron—the same two who played the musical, “Room With a View,” about which I posted a blog article on 6 June 2014 (see “Archives” in left column). They’re true pros. For a spectacular virtual tour of the 5th Avenue Theatre, please see http://www.gotyoulooking.com/1fifthavenuetheatre/mht.html. On 1-3 December 2017, Alderwood Community Church (ACC) presented its 29th Christmas program in five public performances, drawing a total audience of more than 3,000. This year marked the 100th year since the Puget Mill Company developed the planned community called Alderwood Manor in 1917. As residents settled there, they wanted a church. In 1920, Alderwood Manor Community Church was born. To celebrate this 100th anniversary year, ACC commissioned Matthew Wilson to write the play, “New Life of the Land.” Mr. Wilson attended ACC while growing up. 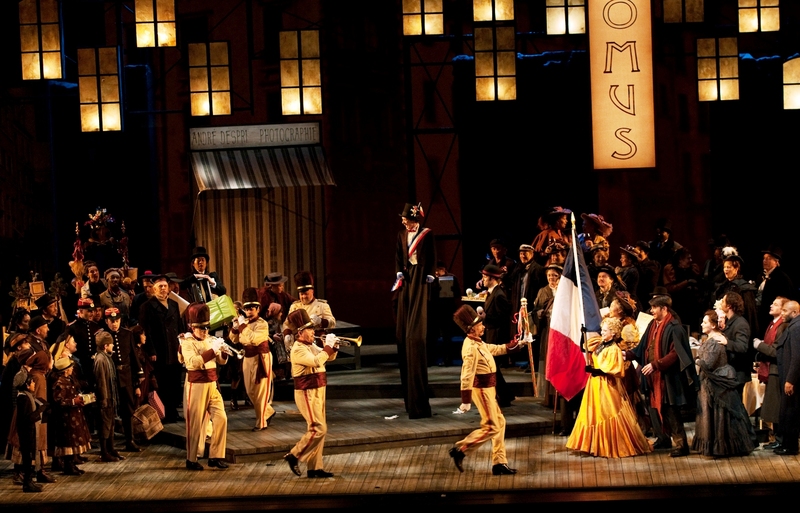 It was presented as a musical drama, not a typical musical. None of the main characters sings or dances. In one comedic relief scene, a barbershop quartet is featured as they rehearse “Deck the Halls.” Instead, the orchestra and choir, under the direction of Linda Collins, perform music to open and close the drama; intersperse different scenes with songs; and provide soft, instrumental music (underscore) while the actors continue with the play. The stage sets employ mixed media: some outdoor scenes are presented by videos on three huge screens above the stage floor. The entire drama takes place during slightly more than one hour on Christmas Eve in 1917. A young couple who intend to marry obtains a 5-acre plot of land through the dramatic, providential trade of their train ticket with a stranger at the Alderwood Manor trolley station. They plan to raise chickens to support themselves and their (eventual) children. The theme of the play is hope. Each of the four main characters have different hopes for themselves and each other. The hopes of Margaret (played by Hannah Blomberg) and Jebediah (Charley Delaney) come true. Eliza (Deborah Turcotte) is forced to abandon her hope for her granddaughter, Margaret. Finally, John (Mike Tate) undergoes a renewal: in the beginning, he has lost hope and is melancholy, having been crippled by polio. He wants to marry Margaret but has no job. In the end, he enthusiastically adopts her hope of staying in Alderwood Manor, establishing a chicken farm, and raising a family there. When they do acquire the land, he proposes marriage, and she accepts. They will enroll in the “New Life of the Land” program created by Puget Mill Company to help settlers learn to raise chickens and certain vegetable crops for sale and family food. I have now played trumpet in four Christmas programs at ACC. Please see my blog posts of 23 April 2015, 15 December 2015, and 10 December 2016. The musical drama aroused my curiosity. I’ve lived in Edmonds for 14 years and don’t know much about Lynnwood history. What happened after 1917? How did we get to where we are now? Here’s some of what I’ve learned as a result of this Christmas program. the Esperance stop near Hall’s Lake was extended to Everett. That cut the travel time from the Forest Park stop (later re-named the Alderwood Manor stop) to about one hour. The Seattle-Everett Interurban Railway ran through Alderwood Manor. Just east of the electric trolley tracks, Puget Mill Company built a 30-acre Demonstration Farm to promote land sales. Here, land purchasers could learn to raise chickens, farm fish, and grow fruits and vegetables both for sale and family food. “New Life of the Land” was the name of this project. On the Demonstration Farm was a superintendent’s cottage, hotel, community hall. water tower, chicken houses, and an incubator house. The preferred chicken species was the single comb white leghorn. By 1921, the American Poultry Association had recognized Alderwood Manor as one of the nation’s greatest poultry centers. Meanwhile, the early residents had a strong desire for a Christian church in their community. They began by meeting for Sunday School in private homes in 1919. On 28 November 1920, Alderwood Manor Community Church was born. They built a wood-frame building on the present site of ACC. Through the years, things changed. Highway 99, to the west, was completed in 1927. The Great Depression hit Alderwood Manor hard, the price of eggs fell, and many residents left the business. Land parcels were subdivided and sold off. The Demonstration Farm was closed. In 1939, the crucial Interurban Railed ceased operations. In the late 1940’s, after World War II, a community named Lynnwood (named after Lynn, a real estate agent’s wife) began to emerge around the intersection of Highway 99 and 196th Street SW. In 1939, the Interurban railway was converted into a power line corridor. In the 1990s, the right-of-way was opened to pedestrian and bicycle traffic. Today, the Interurban Trail is a 16-mile, hard-surfaced, non-motorized, rail trail. The City of Lynnwood is now planning another major transformation. It is converting to high-density, high-rise, mixed-use (commercial and residential) zoning in its City Center. Among the regulatory changes is this: the maximum allowable building height in the City Center Core is up to 350 feet. Assuming that one story equals 10 feet, that’s a building height of 35 stories! The City’s long-range, 20-year vision is to become the “Bellevue of the North.” The current population of Lynnwood is about 38,000. Photos courtesy of John Crozier, http://www.crozierphotography.com. Please click on any photo to enlarge it. My wife and I have lived in Edmonds for 13 years and had never heard of the Cascade Symphony Orchestra until this month. That says a lot more about us than about the CSO which was formed in 1962. But it’s never too late to discover another of the good things in life, is it? How did this one finally happen? Well, I’d been thinking about taking her out on a date, and one evening I was talking with the outstanding principal horn player in the Alderwood Community Church Orchestra. “What other orchestra do you play in?” I asked. “The Cascade Symphony Orchestra,” he replied, and that took me to the internet the next day. I found out that CSO was presenting its “Holiday Pops” concert in Edmonds on 11-12 December. My wife said yes, so I drove to the ticket office at the Edmonds Center for the Arts (ECA), bought two tickets for Sunday night, peaked inside to see the dark auditorium, and picked up a booklet on the ECA to educate myself a little. 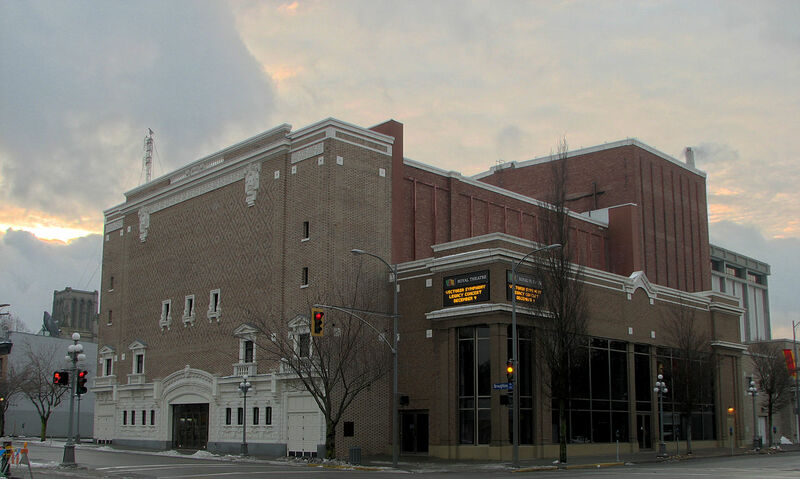 The Edmonds Center for the Arts, with its new 700-seat auditorium, held its Grand Opening on 6 Jan 2007 (see http://www.facebook.com/edmondscenterforthearts). Originally, in 1910, the building was the Edmonds High School. This is now ECA’s 10th Anniversary Season. CSO is a non-professional orchestra, composed of accomplished musicians with careers in other fields who “perform purely for the joy of it.” The orchestra was formed in 1962, and led by Robert Anderson, the original conductor (see http://www.cascadesymphony.org). That was the year of the Seattle World’s Fair and opening of the Space Needle. It was also the year I graduated from the University of Washington, joined the Navy, and reported for duty at Officer’s Candidate School in Newport, Rhode Island. There was no freeway in Seattle then. The Seattle portion of I-5 opened in 1967, the year I returned to Seattle to teach Naval ROTC at the University of Washington for the final two years of my active duty. Several musicians in the original orchestra were still members in 2011-12, the 50th-Anniversary season. The 2016 Holiday Pops program lists 86 musicians in CSO. Of those, 17 members have played in CSO for 30 years or more. And of those, five members (two violinists, two violists, and one cellist) have been members for 50 years or more! The trumpeters are George Steward, Principal; Rocklyn Meredith; and Delsin Thomas. Annual auditions are held in August; individual auditions are scheduled by appointment. At least four CSO members also play in the Alderwood Community Church Orchestra: Lance Ellis (Principal, French Horn); Rob Rankin (Principal, Trumpet); Madison Bromel (Cello); and Heather Hoskins (Bass). CSO’s 2016-17 concert season (September through May) consists of five symphony performances, all at ECA in Edmonds. The orchestra rehearses every Monday night during the concert season—it’s known as “Cascade night.” Maestro Michael Miropolsky (a Russian violinist) is the Music Director and current Conductor. The piece arranged by Robin Seletsky and orchestrated by Ed Marcus is called “Chanukah [Hanukah] Klezmer Medley” was extraordinary. It features a Klezmer clarinet solo, expertly performed by Beverly Setzer, who made her clarinet talk like a person—amazing! Klezmer is a musical tradition of the Ashkenazi Jews that reflects the emotional vocal and dance music of Eastern Europe, especially Romania, and is most often played at Jewish weddings and celebrations. The two Leroy Anderson pieces, “Sleigh Ride” and “Chicken Reel,” showcased the composer’s catchy tunes and playful orchestrations. We learned from the program that Anderson was a linguist who specialized in Scandanavian and German languages. He was Chief of the Scandinavian Desk of Military Intelligence at the Pentagon. But, like the CSO musicians, he pursued a second career simultaneously—in his case, with the Boston Pops Orchestra. He wrote “Sleigh Ride” in 1946. “Chicken Reel” is a dance tune written in 1910 by Joseph M. Daly which Anderson then orchestrated. Learning more about Victor Herbert was also a treat for me. A composer, conductor, and cellist, he was Irish-born in 1859 and died in Connecticut in 1924. CSO concluded the concert with his march, “Auditorium Festival,” which premiered in 1901 in Chicago with Herbert conducting the Pittsburg Symphony Orchestra on tour. It incorporates the familiar folk song melody, “Auld Lang Syne.” Among his many compositions are 43 operettas, including Naughty Marietta (1910), Sweethearts (1913), and his best-known Babes in Toyland (1903). Oh, by the way, the date was a success. When we returned home, I got a kiss from my bride, and she accepted when I asked for another date. Perhaps I’ll suggest Monday, 9 January 2017 at 7:30 p.m. when CSO presents Mozart’s Horn Concerto No. 3 in Eb major, featuring Jeffrey Fair, soloist, and Tchaikovsky’s Symphony No. 6 in B minor (Pathetique). Maybe we’ll see you there. Most of these photos can be enlarged simply by clicking on them. My, oh, my, how they saw love in Scotland and Italy in the early 1800’s! 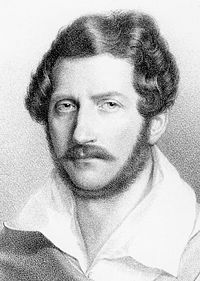 Sir Walter Scott published his novel, The Bride of Lammermoor, in 1819, and Donizetti produced his opera, Lucia di Lammermoor, based on the novel, in 1835. It’s said to be a drama tragico written in the bel canto tradition. What’s that? Well, to me, an opera novice, that sounds like the opera is a tragedy, probably turgid or melodramatic, in which the singers belt out a lot of fast-moving notes over an extremely wide range…i.e., a very sad story told through very difficult, sometimes beautiful music. So, what happens? Sure enough, three protagonists die in the third act, one by murder, one by suicide, and one of a broken heart that induces insanity. That’s early 19th century love for you! Only the villain, Enrico, survives. As he manipulates others in his own struggle for power, casualties fall dead on the stage, one by one, including his helpless sister, Lucia and her two suitors, one of whom she loves passionately but tragically. In the end, Enrico is forced to see what he has wrought, and his pain and guilt hang heavily and darkly over the final scene. My wife and I have now seen two operas in Victoria, B.C. 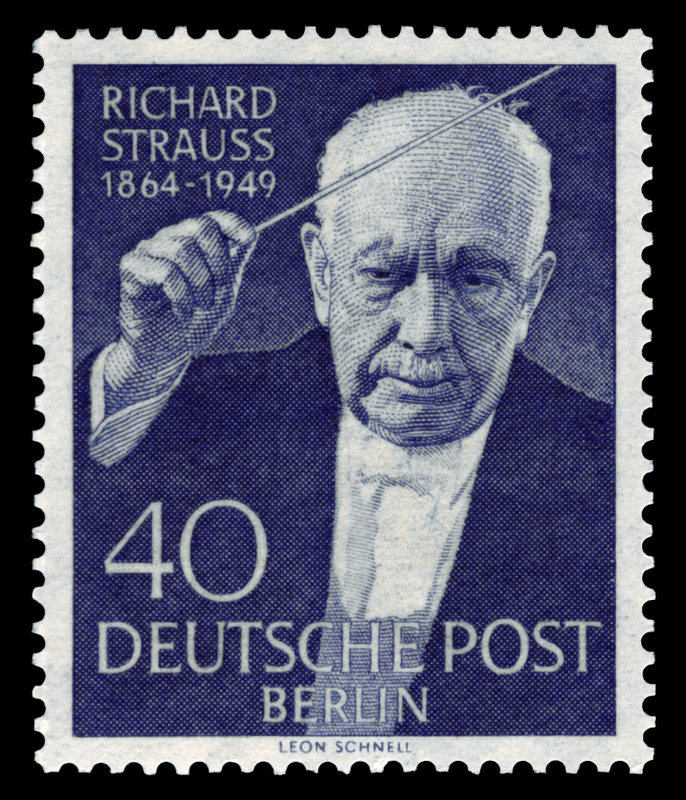 (see my post of 2 June 2014, regarding Richard Strauss’ Ariadne Auf Naxos). We saw this second opera on the evening of Valentine’s Day, 14 February 2015. It was performed in the Royal Theatre by Pacific Opera Victoria with the Victoria Symphony and the Pacific Opera Chorus. Lucia di Lammermoor is generally considered Domenico Gaetano Maria Donizetti’s masterpiece among his ~75 operas. When you’re producing one of the best entertainment shows on earth, you need trumpets and a fanfare to get the show started! And so my wife and I noticed as we sat in the stands among thousands in the audience at The Royal Edinburgh Military Tattoo, 2014, in Scotland on 11 August. Our whole three-week trip to the UK was organized around our tickets to this event. We simply love bagpipes! The Tattoo is staged on the Esplanade (parade ground) of the Edinburgh Castle. This year it occurred during Scotland’s “Year of Homecoming, 2014.” The Commonwealth Games and the World Pipe Band Championships were held in Glasgow, and The Ryder Cup (golf) will be held on 26-28 September at the PGA Centenary Course at Gleneagles in Perthshire. According to the wee bit of Scottish history that I have recently learned, there was a massive diaspora of Scots from the homeland during the mid-18th to late-19th centuries. More Scottish descendants now live abroad than currently live in Scotland itself (population ~5 million). Scots spread throughout the globe, and this year they were invited back home to celebrate their heritage. The 2014 Tattoo reflects this history of emigration. The program was divided into three major segments: “The Departure,” “The Journey,” and “The Return Home.” Groups from Trinidad and Tabago, Malta, southern Africa, India, Singapore, and New Zealand performed. During “The Journey” segment, the performance by the New Zealanders effectively depicted the intermingling of the two different cultures. My wife and I “opened” our Christmas gift on the 19th of April—that’s when we went to see the musical, “A Room with a View,” at the 5th Avenue Theater in Seattle with tickets given to us by our daughter and son-in-law last December. We had great seats on the main floor, mid-way down toward the stage. 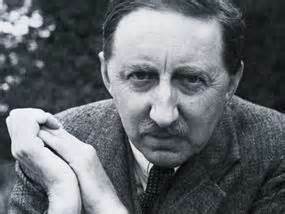 The musical is based on the 1908 novel by E. M. Forster, English author of novels, short stories, and essays. He was the author I probably would have concentrated on, had I gone for a post-graduate degree in English literature. To me, he was the academic, the professor, the critic, who tried to do what he studied, reviewed, and taught. That is, he tried to defy the adage, “Those who cannot do, teach.” To me, his novels are excellent but never literary masterpieces. A Rome with a View, the third of sixth published novels, is said to be his lightest, most optimistic, and popular. Like most of his other works, this one explores the conflicts of propriety and class as Lucy Honeychurch faces the choice of a husband–the free-thinking, high spirited George Emerson or the repressed, snobbish aesthete, Cecil Vyse. These characters sing all the way through this romantic musical comedy. But it’s a funny thing—none of the 20 songs is easily memorable. I like to come out of a musical humming a great tune. Not here, not this one. Where’s a song like “Oh, What a Beautiful Mornin'” (Oklahoma! ), “Tomorrow” (Annie), “Ya Got Trouble” (The Music Man), “What Do the Simple Folk Do?” (Camelot), “Get Me to the Church on Time” (My Fair Lady), and many more? Come on, guys, write a nice melody for your lyrics! The 5th Avenue Theatre is renowned for producing and developing new musicals. Nine of the 17 new works which have premiered at The 5th since 2001, have later opened on Broadway. Whether “A Room with a View” will do so is yet to be determined. The 5th has more than 25,000 season subscribers. 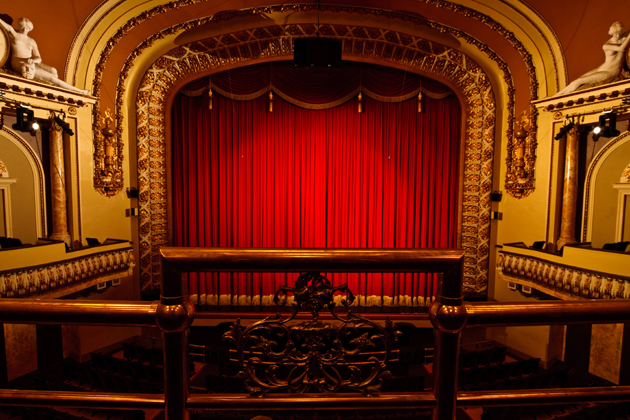 More than 300,000 audience members attend performances there each year. Incidentally, in The 5th Avenue Theatre Orchestra, the principal trumpet is Brad Allison, and Trumpet 2 is Paul Baron. The production photos in this post are courtesy of The 5th Avenue Theatre. Please click on any photo to enlarge it. Lucy and George. Photo by Tracy Martin. The skinny-dip scene for comic relief. Photo by Mark Kitaoka. Lucy Honeychurch (Laura Griffith). Photo by Mark Kitaoka. On Saturday, 15 February, the weather in Victoria, B.C., Canada was shivery cold and windy. Clipper Navigation, operators of the large, 300-passenger catamarns that speedily ferry people back and forth between Seattle and Victoria, cancelled our 5 p.m. trip home due to the rough crossing that day of the Strait of Juan de Fuca, Admiralty Inlet, and Puget Sound. My wife and I had a choice–go home early at 3 p.m. Saturday or wait till the Sunday, 5 p.m. sailing. So, what did we do? Naturally, we stayed in town and went to the opera! At the Royal Theatre in downtown Victoria, B.C., Canada, the Pacific Opera Victoria company performed Ariadne Auf Naxos by Richard Strauss. As opera novices, of course, we’d never seen it or even heard of it, although the second (revised) version premiered in Vienna on 4 October 1916–almost 98 years ago. According to the Artistic Director and Conductor, Timothy Vernon, it’s an opera about an opera, and in it, Strauss created “the greatest coloatura [soprano] part in all opera.” Two troupes of performers, one a serious opera company and the other a burlesque group, arrive one evening to entertain the dinner guests of the richest man in Vienna, expecting to present separate performances. They are ordered to present both performances at once, finishing not one minute longer than nine o’clock when there would be fireworks in the garden. Ariadne (opera) has been abandoned by her lost love and longs to die. Zerbinetta (burlesque) intervenes with her advice that finding another man is the easiest and simplest way to get over a broken heart and that when a new love arrives, the only choice is to yield to it. These conflicting views make the opera. And this opera made our trip–our fifth to Victoria in the previous 14 months. 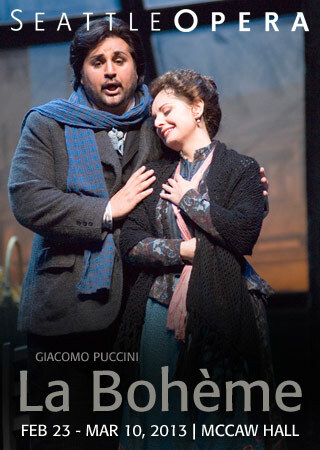 What does it mean when you cry in Act I of Puccini’s opera, La Boheme, and not when Mimi dies at the end of Act IV? Well, it must have a little to do with the fact that this is the second time my wife and I have seen La Boheme at the Seattle Opera. And it must have a lot to do with the singers and the music itself—there are a couple of outstandingly beautiful arias and a duet in Act I, sung by the lead soprano (Jennifer Black) and tenor (Michael Fabiano) when we attended on 24 February. And finally, it must have something to do with me, myself, and I. Two trumpeters lead the parade by Cafe Momus in Act II. Photo by Elise Bakketun. 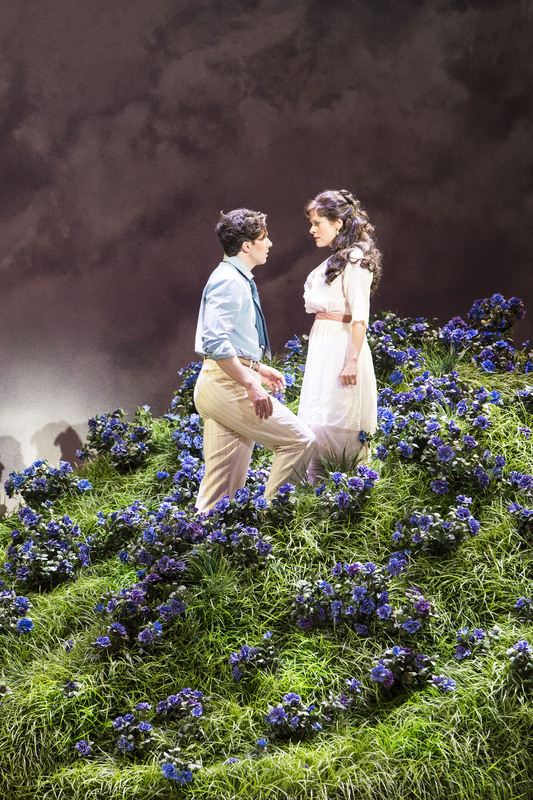 In Act I, young Mimi and Rodolfo fall in love. Mimi is a seamstress and courtesan, and Rodolfo is a poor poet, living in the same cheap apartment house in Paris. She is ill, but their love is strong. Their future brims with hope and promise. Who does not remember an intense, dreamy, romantic love in one’s youth? A tear sneaks down from the corner of my right eye. They nearly break up in Act III. and then in the climax of Act IV, Mimi passes away after a long bout with consumption. Rodolfo is the last in the room to realize that she is dead. And out in seat E-2, a pair of dry eyes watch. Whazat? Most people cry in all the right places. Not me, not this time. Surprise. Mimi (Jennifer Black) and Rodolfo (Michael Fabiano). Photo by Elise Bakketun. Musetta (Jennifer Zetlan) and Marcello (Keith Phares). Photo by Elise Bakketun. Rodolfo (Michael Fabiano), Colline (Arthur Woodley), Benoit (Tony Dillon), Schaunard (Andrew Garland), and Marcello (Keith Phares). Photo by Elise Bakketun. Colline (Arthur Woodley), Schaunard (Andrew Garland), Mimi (Jennifer Black), Rodolfo (Michael Fabiano), Marcello (Keith Phares), and Musetta (Jennifer Zetlan). Photo by Elise Bakketun. 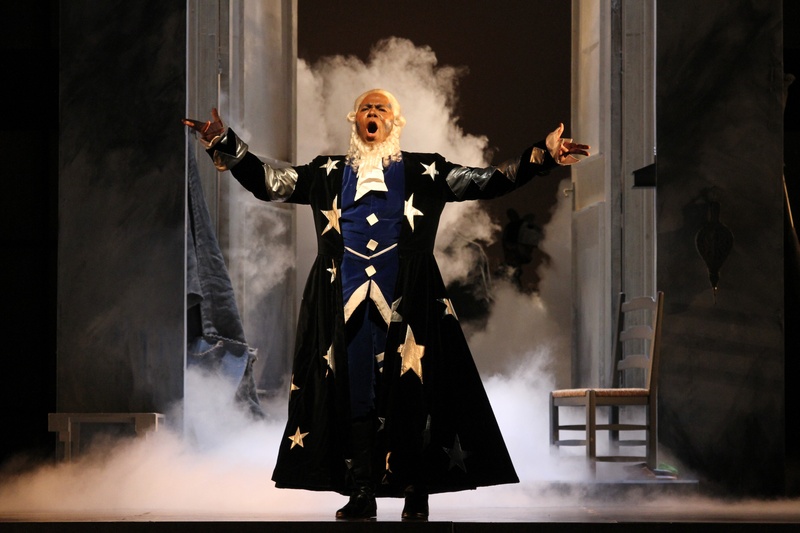 Does Rossini’s “Cinderella” Opera from 1817 Play Well in 2013? On Sunday, 13 January, it was time for my wife and me (opera novices) to be re-introduced to Gioachino Antonio Rossini, the composer whose nickname was “The Italian Mozart.” We were both familiar with The Barber of Seville, but it was so long ago, we can hardly be sure of when, where and what. 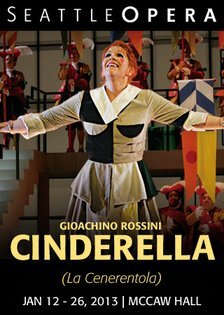 So off we drove to McCaw Hall not knowing what to expect to see and hear at the Seattle Opera’s matinee performance of Cinderella (La Cenerentola)—almost 200 years after it premiered at Teatro Valle, Rome, 25 January 1817. It turns out that Rossini’s Cinderella is a romantic comedy of the bel canto (“Beautiful Singing”) kind. The story was altered by librettist Jacopo Ferretti both in characters and in plot, but yes, in the end, the prince does get the lovely, virtuous Cinderella as his bride. This takes two acts stretched over three hours (including a half-hour intermission). During the pursuit, there are lots of laughs and some extraordinary singing. Alidoro (Arthur Woodleyj), tutor to Prince Ramiro, has other plans for Cinderella – Photo by Alan Alabastro. The music was written to show off the exceptional quality of the singers’ voices. I especially enjoyed the various ensembles. The precision of the attacks, phrasing, and breath control were remarkable and often, as intended, funny! I imagine it would be quite challenging and possibly exhausting to sing for so long in that style. Among the voices I enjoyed the most were those of Angelina (Cinderella), mezzo-soprano; Alidoro, bass; Dandini, baritone; and Don Magnifico, bass.